And I was just following the auto ahead. Drivers are able to complete a lap if they cross the start-finish line before time is up - and Verstappen being stuck in traffic meant he was two seconds late. Verstappen was told "You need to go now" over the team radio. "We are finished", the engineer confirmed. "They are such wankers, honestly", said Verstappen. They just f**ked it up. I was actually trying to be nice and not overtake, as that's not what you do in qualifying when you're all trying to prepare for the last run. "We were just staying neatly behind each other, but at a certain point Vettel passed me and the two Renaults as well", he fumed. "So they f*cked up my entire build-up, while there is an unwritten rule that you just follow each other". "But whatever. From now on in qualifying I'm going to f*ck them up as well". "Not enough to be in front of the Mercedes or at their level but at least we got closer, and I think there was a bit more potential - so [about] this I'm disappointed, but overall it's a positive day". Max was in a good position and then Sebastian passed him around the outside so he's hung back not to get his dirty air, a Renault passed him and he's hung back again and unfortunately, the clock ticking down the way it was, he didn't make it to the line in time. "It's a shame because it would have been a good opportunity to try and improve". "I am not going to be in Formula One as long as Bernie was that's for sure, but I hope I am going to be as fit and sharp as he is today when I am 88". If you look at my lap time from Q2, I did just one lap time. Valtteri Bottas lines up on pole for the first time since the Russian Grand Prix last October. 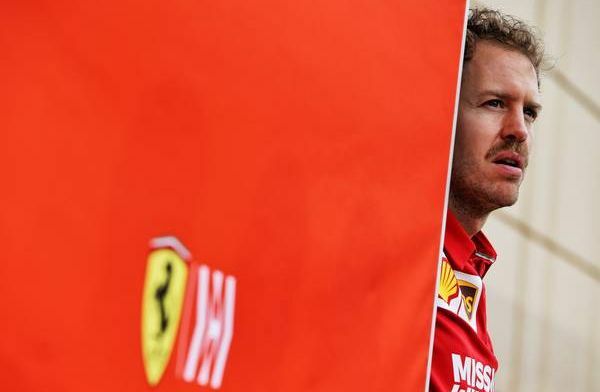 Germany's Vettel, who is facing criticism after a series of errors stretching back to last season, was unhappy after being held up by SportPesa Racing Point's Sergio Perez. "It didn't go my way on that Sunday, so at that point it wasn't about holding Charles' Sunday back".